Human rights activists and journalists were on Tuesday detained for hours at the residence of Machakos Senator Johnstone Muthama. The activists, among them Centre for Rights Education and Awareness director Anne Njogu and lawyer Judy Thongori, had visited the home accompanied by journalists. Mr Muthama’s wife, Agnes, had complained she was living under deplorable condition at the home located a few kilometres from the Machakos turn-off on the Nairobi-Mombasa highway. County Police Commander Gideon Amalla said the misunderstanding had been resolved. “I was informed it was a slight issue but it has been resolved and the group has been allowed to go,” Mr Amalla said. 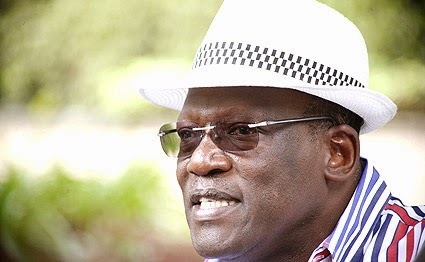 Calls to Mr Muthama’s mobile phone were picked by his personal assistant who promised to pass on the message to him. The group had arrived at the home around 4pm and were let in by Mrs Muthama, but the workers locked the gates for about three hours, saying they had been instructed not to allow them to leave. Moments later, six police officers arrived at the gate but did not do anything to rescue the group, which included 11 journalists from various media houses. Mrs Muthama told the Nation that she had been living under extreme conditions for more than a month after electricity and water supply to the house were disconnected. She said she had been using water from a swimming pool for bathing. Doors to the house were removed and furniture transferred to another house belonging to their son, she added.